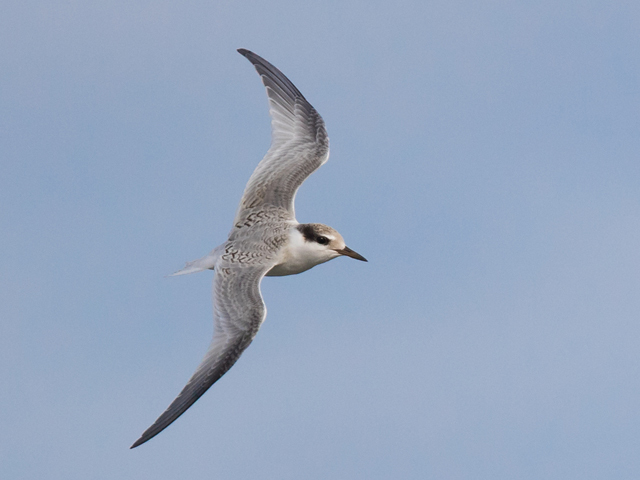 Bill: Sea Common Scoter 97, Balearic Shearwater 14, Arctic Skua 8, Sandwich Tern 7, Manx Shearwater 5, Pomarine Skua 2, Whimbrel 1, Yellow-legged Gull 1 + 1 Ocean Sunfish and a small group of Common Dolphins. 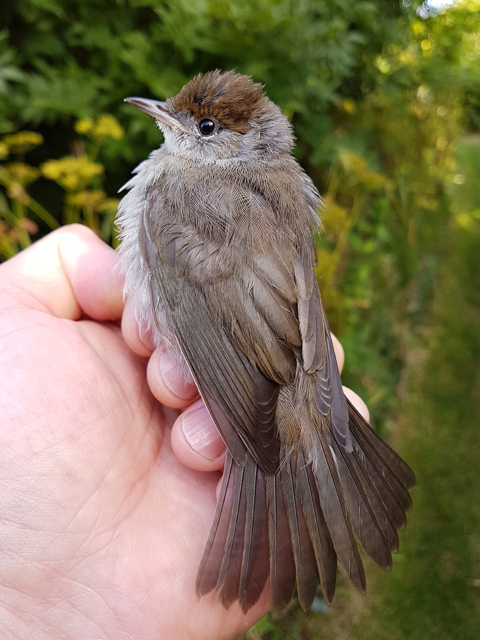 Land Willow Warbler 50, Sedge Warbler 15, Pied Flycatcher 1. 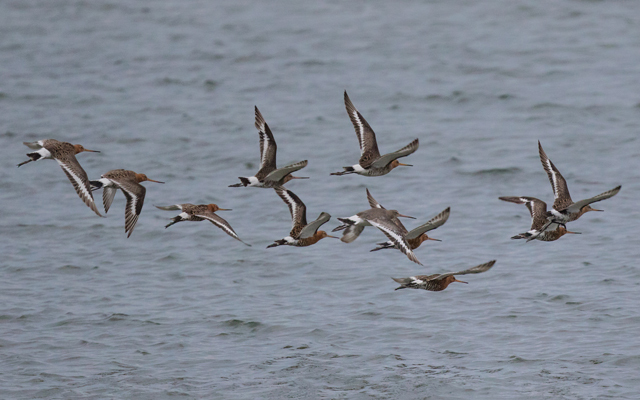 Ferrybridge: Dunlin 20, Ringed Plover 12, Sanderling 6, Shelduck 1. Bill: Sea Balearic Shearwater 31, Common Scoter 31, Arctic Skua 23, Storm Petrel 4, Mallard 2, Whimbrel 2, Yellow-legged Gull 1. Land Willow Warbler 10. 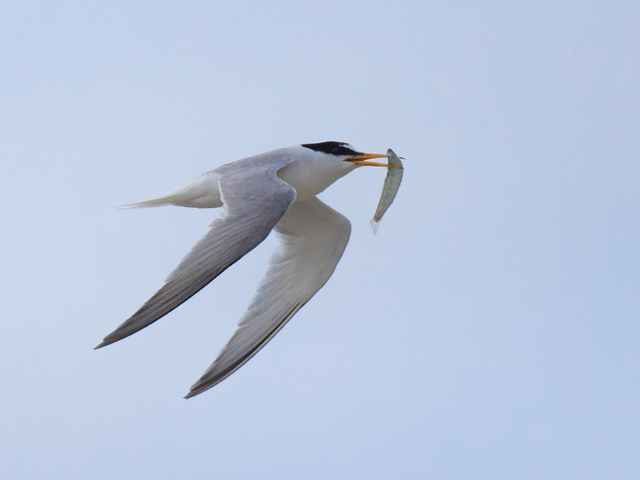 Ferrybridge: Little Tern 5, Sanderling 4, Knot 2. Portland Harbour: Common Scoter 5. 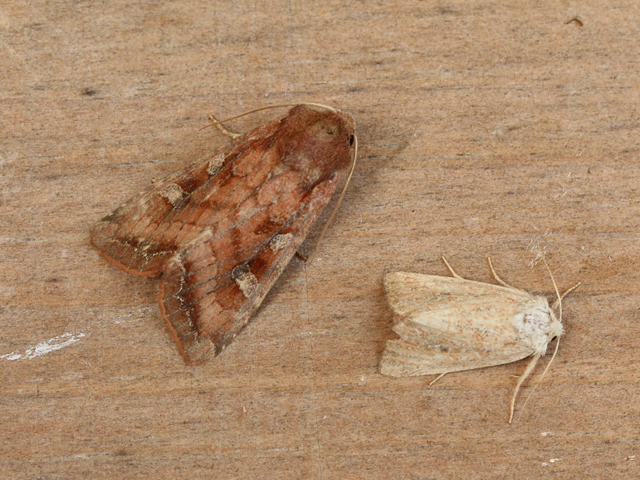 Obs immigrant moths: Rusty-dot Pearl 5, Silver Y 2. 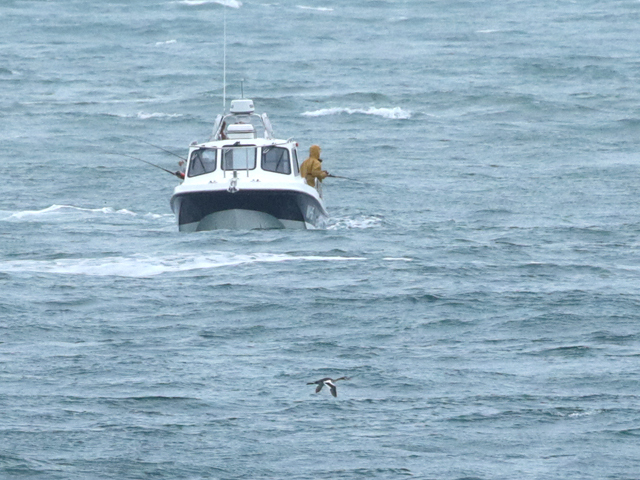 In really grim conditions much more akin to November than late July pretty well all of the day's interest was offshore. 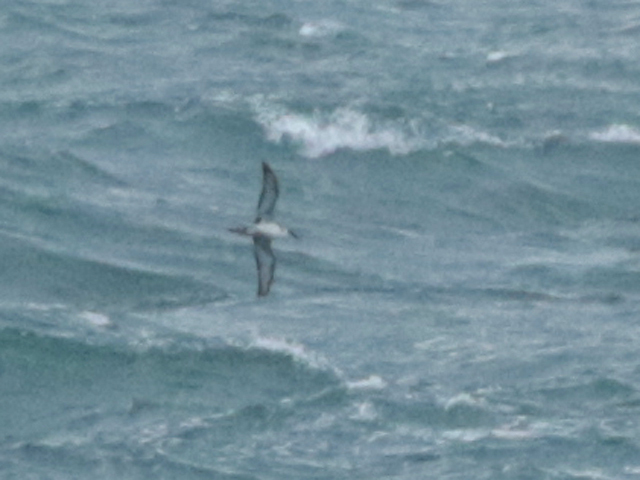 A Great Shearwater that appeared briefly twice off the Bill was presumably the lingerer from earlier in the week although given the conditions that might not have been an altogether safe assumption; Balearic Shearwaters also were a constant presence there but with movement in both directions and plenty lingering it was impossible to be sure how many birds were involved, with 25 perhaps a conservative minimum. With a lot more lingering than actual passage it was tricky to get a handle of many of the other Bill totals for the day, but 60 Manx Shearwaters, 16 Common Scoter, 3 Storm Petrels, 3 Yellow-legged Gulls, 3 Arctic Skuas and singles of Sooty Shearwater, Great Skua and Pomarine Skua looked to safe minima. The only other reports were of a handful of Willow Warblers at the Obs and 24 Sandwich Terns, a Knot and a Yellow-legged Gull at Ferrybridge. 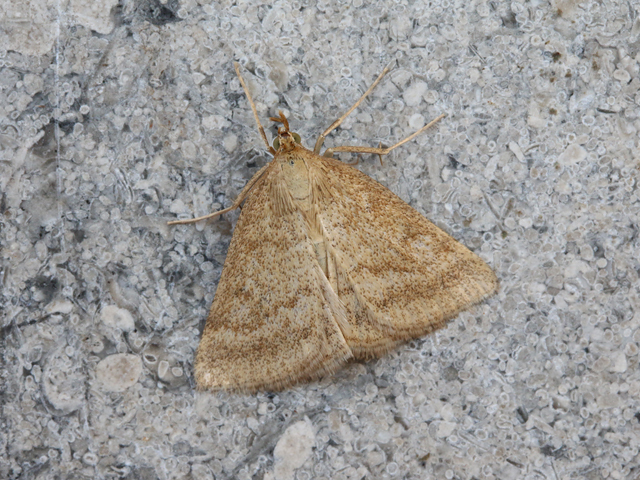 Moth interest diminished still further, with 3 Rusty-dot Pearl the only immigrants caught overnight at the Obs. 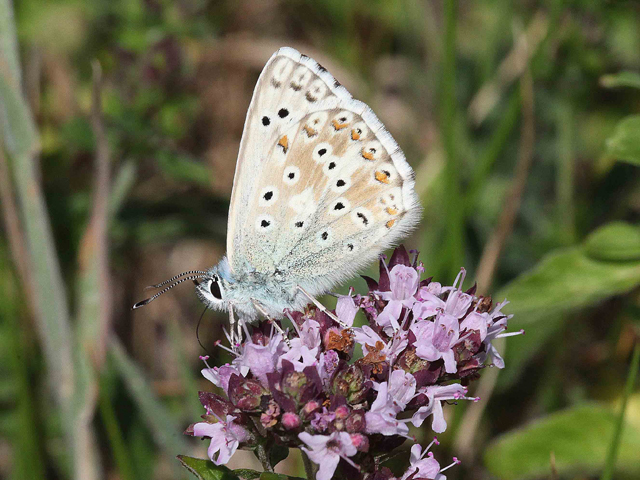 Please note that for the next fortnight timely blog and Twitter updates are likely to be interrupted whilst we're away on holiday - normal activities at the Obs will be carrying on as usual and we'll try and convey the highlights as and when we can. 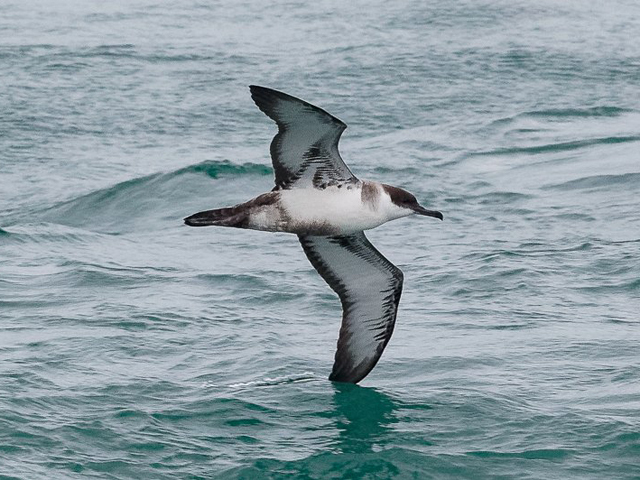 Unexpectedly, bearing in mind the very blustery southwesterlies and the continuing presence of shoals of bait fish attracting seabird close to shore, the Great Shearwater didn't show up off the Bill today but there was still plenty of action to provide interest. With so many birds lingering offshore it was often tricky to get a handle on numbers but another strong movement of Yellow-legged Gulls - 20 juveniles heading west - featured during the morning, whilst a minimum of 12 Balearic Shearwaters joined the feeding melee offshore; other movers off the Bill included 43 Common Scoter, 25 Manx Shearwaters, 4 Arctic Skuas and a Great Skua. Waders at Ferrybridge included 33 Dunlin, and 8 Sanderling, but passerines were once again hard to get amongst, with 10 Willow Warblers at the Obs about as good as it got. 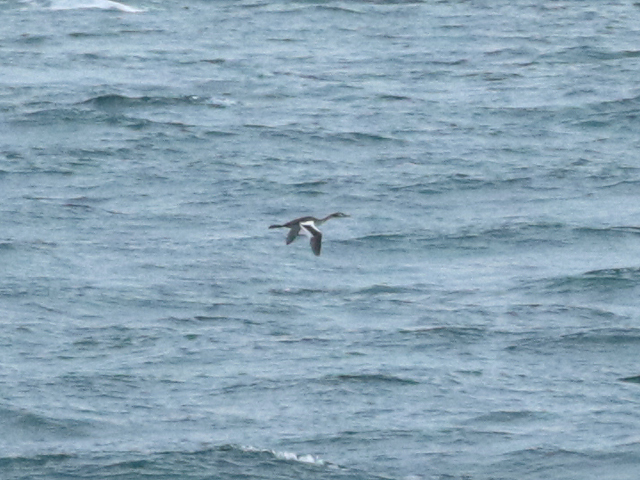 The only other report was of the long-staying Eider spotted again in Portland Harbour. 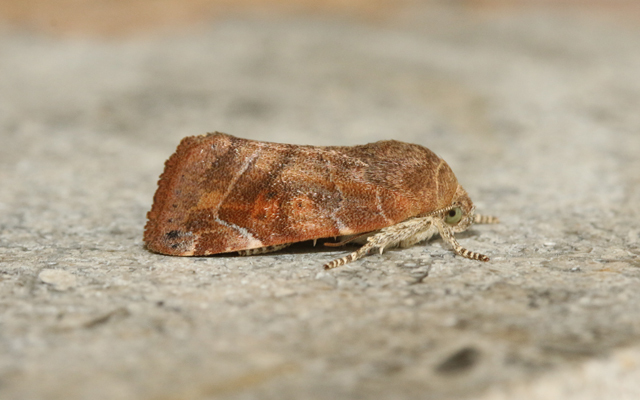 Immigrant moth interest dwindled to virtually nothing, with just 5 individuals of 3 common species trapped overnight at the Obs. 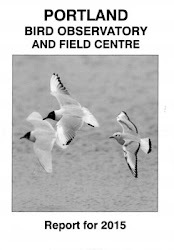 A reminder that there's an In Focus field event at the Obs between 10am and 4pm this Saturday, 29th July. 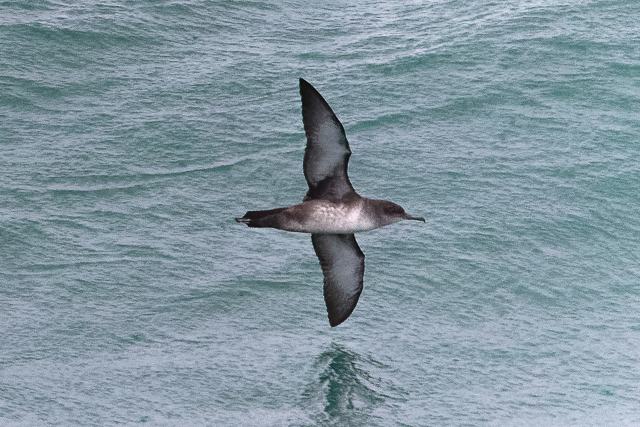 The Great Shearwater spent another day lingering off the Bill and, in the intermittently wet and windy conditions, it was activity at sea that provided most of the rest of the day's interest. The Bill was watched pretty well throughout and returned totals of 94 Common Scoter, 13 Sandwich Terns, 10 Balearic Shearwaters, 7 Arctic Skuas, a minimum of 4 Yellow-legged Gulls, 4 Great Skuas, a single Great Crested Grebe and plenty of Manx Shearwaters that peaked during the afternoon when a sample count came up with 211 in 80 minutes. 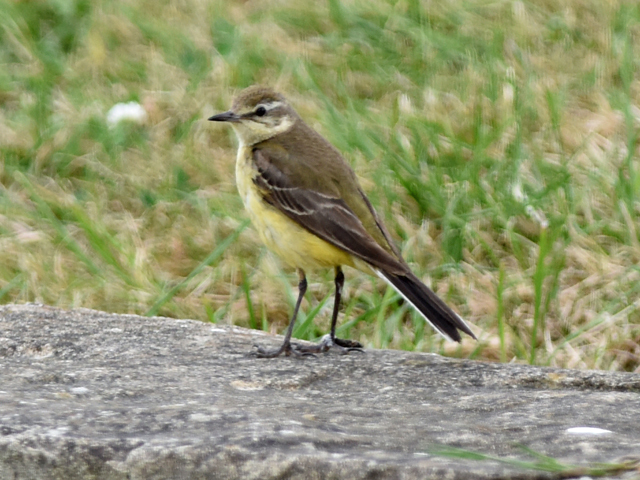 Ferrybridge chipped in with 37 Dunlin, 25 Ringed Plovers, 11 Common Terns through, 8 Sandwich Terns, 4 Sanderling, 2 Yellow-legged Gulls, a Hobby overhead and a Redshank, but it was hard work getting amongst passerines on the land, with a handful of Willow Warblers and 2 Wheatears all that could be mustered in the unhelpful conditions at the Bill. Lovely weather and very enjoyable birding today with plenty more action out to sea and another small flurry of early departing migrants on the land. 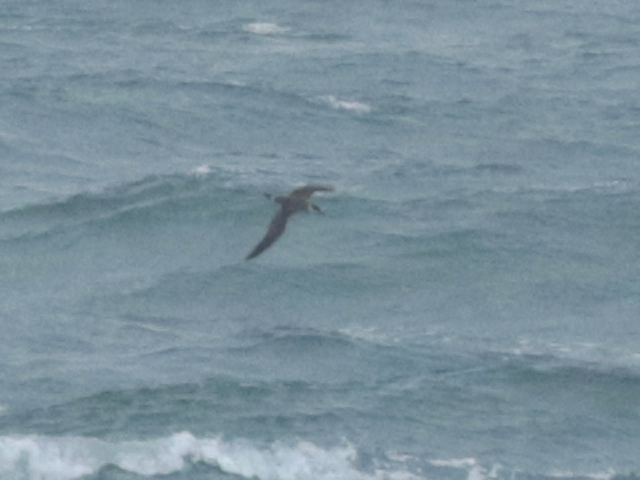 The biggest surprise on the sea was a brief reappearance by the Great Shearwater that joined the melee of gulls feasting on bait fish off the Bill during the afternoon; up to 6 Balearic Shearwaters also put in appearances there, whilst 65 Mediterranean Gulls, 30 Common Scoter, 10 Manx Shearwaters, 7 Yellow-legged Gulls, 6 Arctic Skuas and a Roseate Tern passed through and, in the early hours, another 6 Storm Petrels were sound-lured and trapped. Land-wise, both Whinchat and Garden Warbler - singles of each - were logged for the first time this season at the Bill, where 25 Willow Warblers and 10 Sedge Warblers made up the bulk of the numbers on the ground, gatherings of up to 100 Swallows and 20 each of Swift and Sand Martin paused overhead and a lone Yellow Wagtail also passed through. 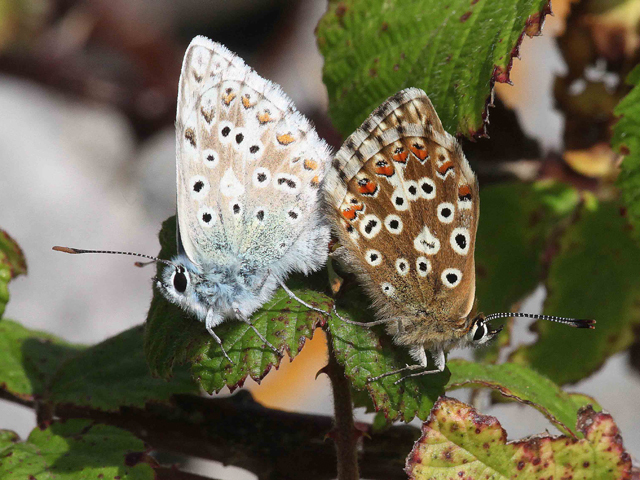 Immigrant insects featured again, with 7 Painted Ladys and 4 Clouded Yellows amongst the many hundreds of Red Admirals about at the Bill; 5 Red Admirals and singles of Painted Lady and Emperor dragonfly were also caught overnight in the Obs moth-traps. 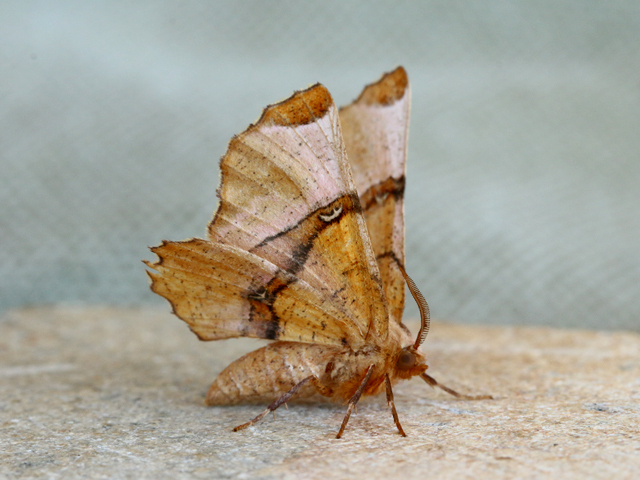 A Pale Shoulder at Weston and a Lunar Thorn at the Obs (the fourth and second island records respectively) were nice rarity highlights amongst the moths caught overnight; common immigrant numbers also increased, including 35 Dark Sword Grass, 27 Silver Y and 19 Rusty-dot Pearl at the Obs. Some pretty decent passage in nice benign conditions today, notably including an island record total of a minimum of 28 Yellow-legged Gulls at the Bill (all were juveniles and the majority arrived from the southeast and passed steadily west close inshore); there was plenty of other action at sea, including 169 Common Scoter, 26 Manx Shearwaters, 10 Mediterranean Gulls, 6 Black-headed Gulls, 3 Balearic Shearwaters and singles of Great Skua and Arctic Skua. 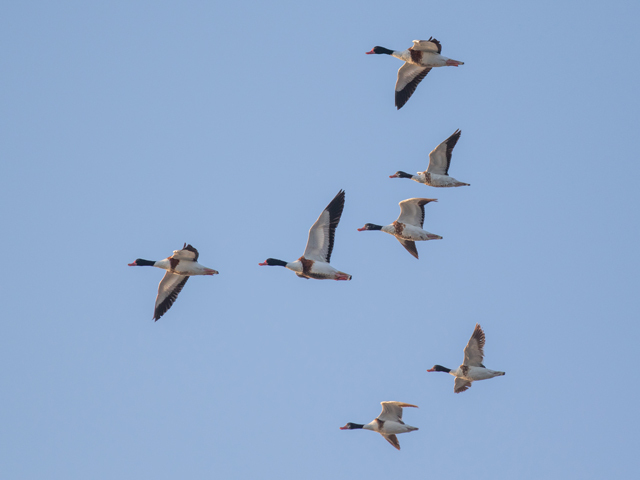 For the first time this autumn grounded migrants were relatively conspicuous around the Bill, where Willow Warblers reached 50 and 4 Sedge Warblers and singles of Dunlin, Redshank and Cuckoo were additions to the mix. 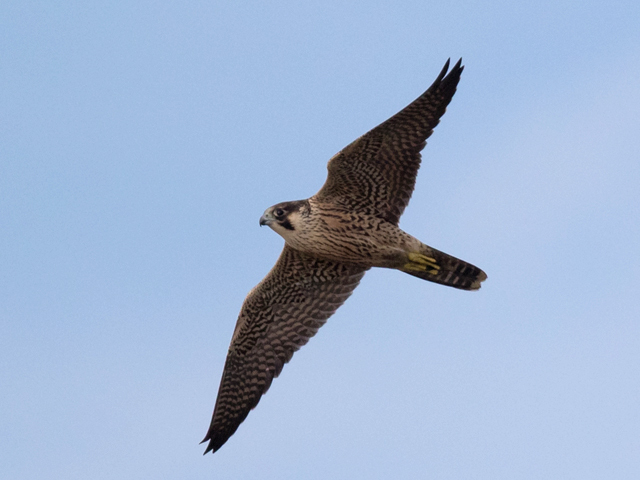 Visible passage was the poor relation, with little more than a handful of Swifts and Sand Martins overhead. Moth immigrants were conspicuously few despite there being plenty of other insect arrivals: a variety of hoverfly species were hugely abundant, including very many caught overnight in the moth-traps, whilst Red Admiral butterflies were not only very numerous everywhere but included several watched arriving in off the sea at the Bill; a single Painted Lady butterfly was caught overnight in one of the moth-traps at the Grove. 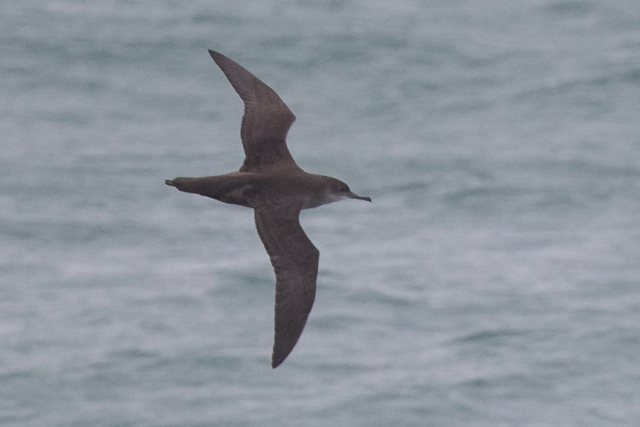 One seabird shock had seemed like quite enough for this month (...even for this year) but to have a second when a Great Shearwater afforded what might prove to be once in a lifetime views for land-based watchers when it lingered for several hours close inshore off the Bill during the afternoon was fortunate indeed. 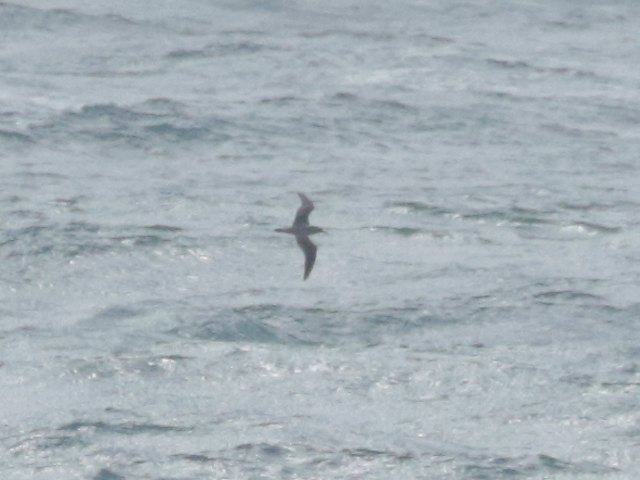 The sea was otherwise relatively quiet, with 30 Manx Shearwaters, 22 Common Scoter, 4 Yellow-legged Gulls, 3 Balearic Shearwaters, 2 Arctic Skuas and a Puffin through or lingering off the Bill. In quieter conditions interest picked up on the land, with a small arrival at the Bill that included a light passage of hirundines, 4 each of Sedge Warbler and Willow Warbler, and singles of Whimbrel, Yellow Wagtail and Grey Wagtail at the Bill; in contrast, Ferrybridge was uneventful, with nothing much more than 5 Whimbrel and a Common Sandpiper. 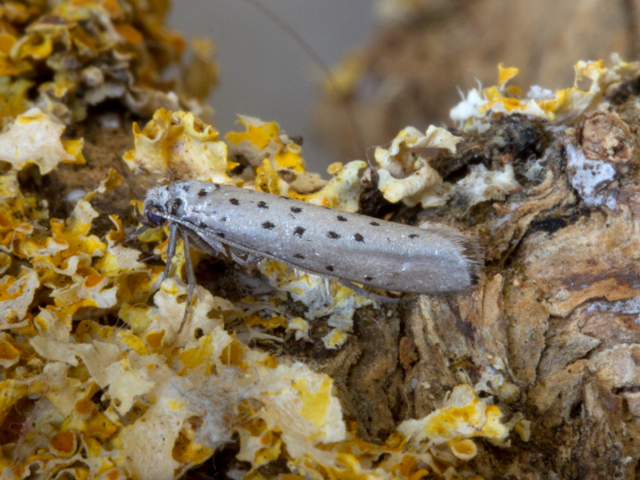 Moth-wise, there was a small increase in common immigrants, including 44 Diamond-back Moth, 11 Silver Y, 7 Dark Sword Grass and 6 each of Rusty-dot Pearl and 4 Rush Veneer at the Obs, but quality by way of infrequent strays was limited to a lone Orange Pine Twist Lozotaeniodes formosanus at Weston. Balearic Shearwaters aside, Portland's long, long been the poor relation when it comes to early autumn seawatching, with the east Devon headlands in particular (which are visible from West Cliffs!) 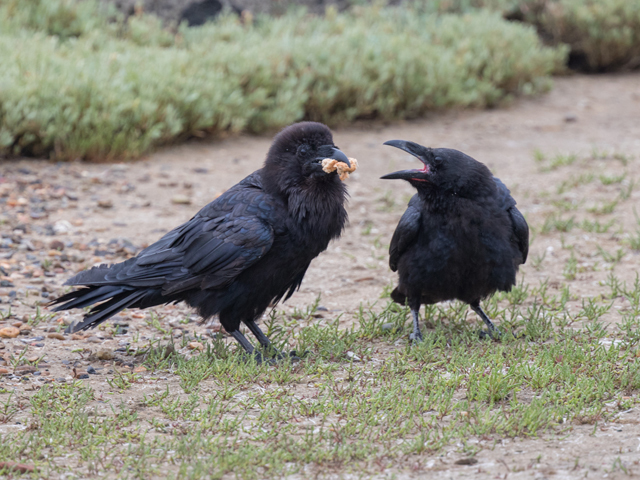 regularly trouncing the island for variety and numbers. 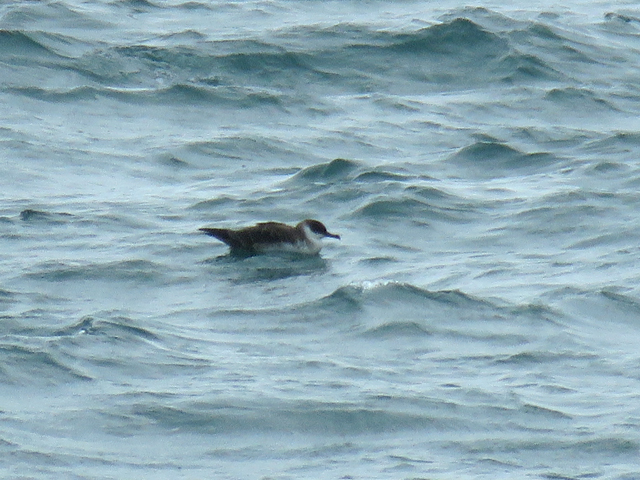 Today Portland was trounced again but just for once a few crumbs fell from the Devon table and provided more than enough entertainment for us, with island record totals of at least 26 Cory's Shearwaters and 4 Great Shearwaters (as well as several unidentified large shearwaters) the chief rewards. 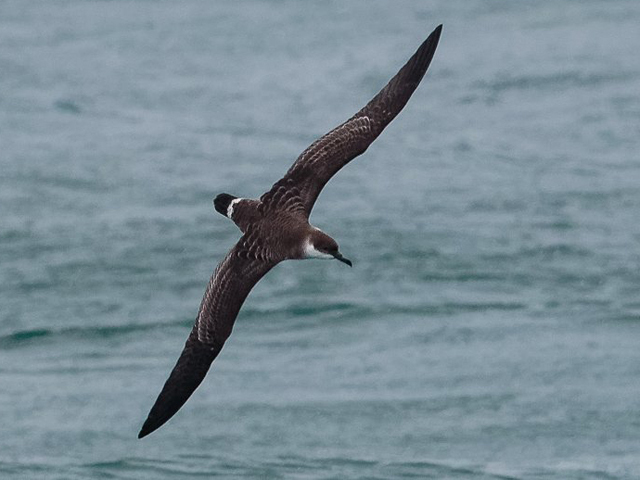 The back-up cast included 750 Manx Shearwaters, 46 Common Scoter, 10 Balearic Shearwaters, 6 Sandwich Terns, 3 each of Storm Petrel, Whimbrel and Arctic Skua, 2 each of Sooty Shearwater and Arctic Skua, and a single Yellow-legged Gull. 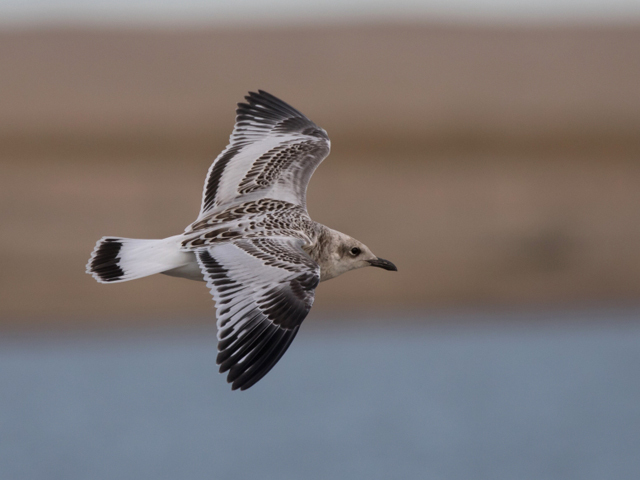 The only other reports were from Ferrybridge, where there were 120 Mediterranean Gulls, 2 Sanderling, 2 Whimbrel and a Common Sandpiper. It was way too windy overnight to have expected much reward from the moth-traps so another Splendid Brocade and the first Mere Wainscot for several years were surprises amongst the handful of commoner immigrants trapped at the Obs. With a brisk and ever-freshening wind always a feature coverage of the land was pretty limited and largely fruitless, with singles of Common Sandpiper, Yellow-legged Gull and Wheatear at Hamm Beach, 15 Dunlin and a Whimbrel at Ferrybridge and a trickle of hirundines through at the Bill all that could be mustered. Surprisingly, the sea wasn't much better with 23 Common Scoter through off the Bill the only obvious movers. 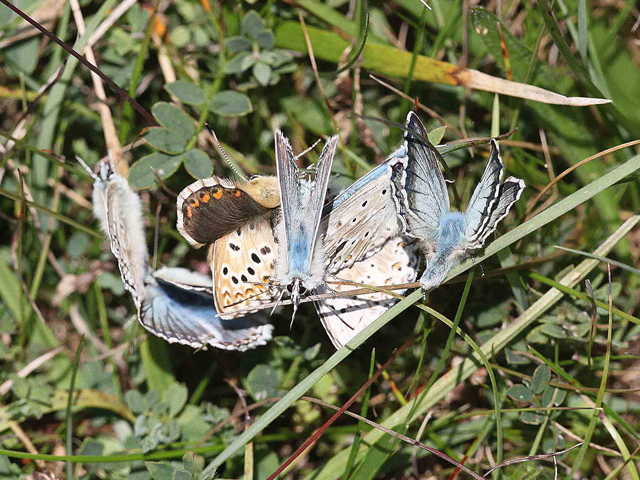 After yesterday's post-storm disappointment on the moth front there were welcome signs that just a few immigrants had indeed crossed the Channel. 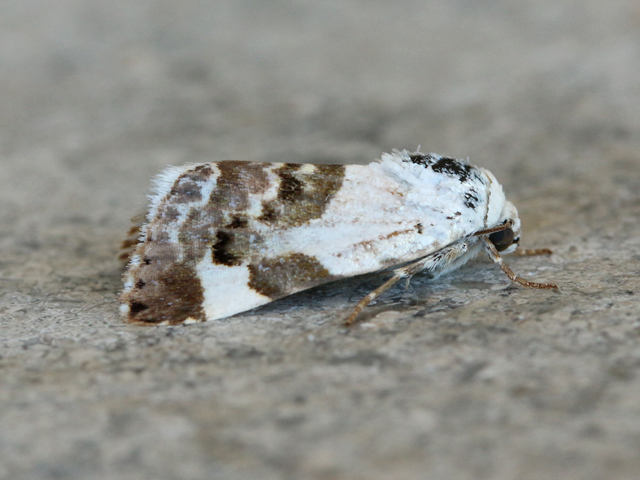 A Scarce Marsh Pearl Psammotis pulveralis at the Obs was the only real rarity, but among the routine species there were increases to, for example, 25 Diamond-back Moth, 16 Rusty-dot Pearl and 9 Silver Y at the Obs; 3 Small Mottled Willow scattered about the middle of the island were the first for a while. In the dreary and often breezy aftermath of overnight electric storms and heavy showers the land didn't get much coverage today. The sea was still worth attention, with a small arrival of at least 5 Yellow-legged Gulls off the Bill where a Balearic Shearwater was again lingering and another passed straight through. 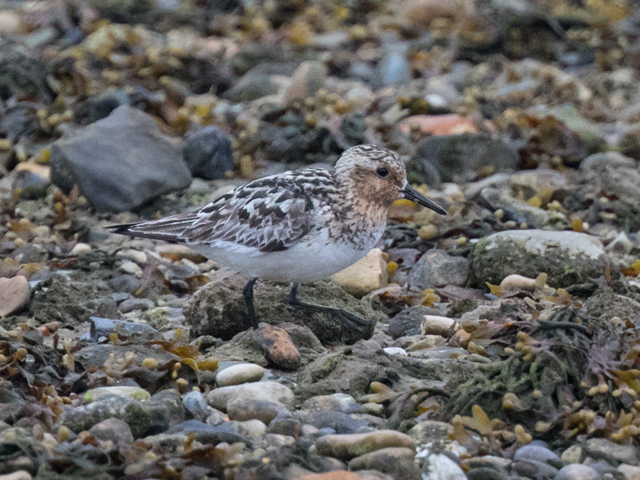 Ferrybridge came up with fewer waders than yesterday but variety picked up, including 42 Dunlin, 13 Oystercatchers, 12 Sanderling, 6 Curlew, 2 Whimbrel and a Common Sandpiper. A bit of a miscellany today with, amongst other things, hirundines moving in some quantity into the brisk easterly that had sprung up ahead of thundery rain crossing the Channel and an increase in wader numbers once the rain arrived: the hirundine tally reached 300 of both Swallow and Sand Martin through over Ferrybridge, whilst the waders there in the evening included 204 Dunlin and 15 Sanderling (with 3 Redshank also there earlier in the day). 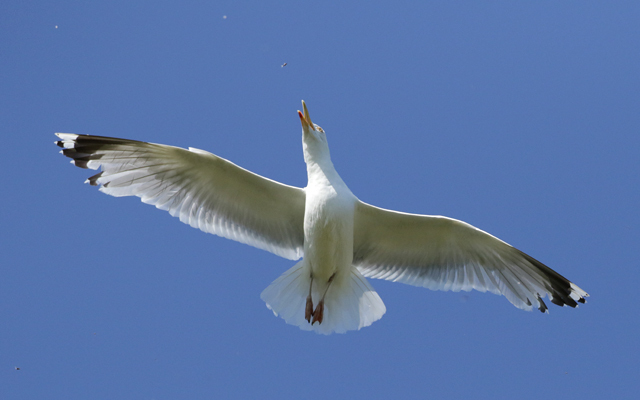 A Yellow Wagtail dropped in at Southwell but the only other interest on the land concerned at least 2 Yellow-legged Gulls that joined the Herring Gulls feasting on a hatch of ants in the beach hut fields at the Bill. 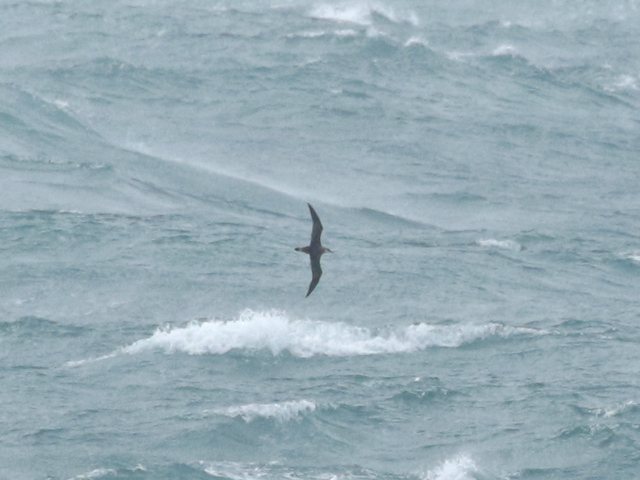 A Balearic Shearwater lingered off the Bill for much of the day, with 77 Common Scoter and 2 Shelduck also passing by there. 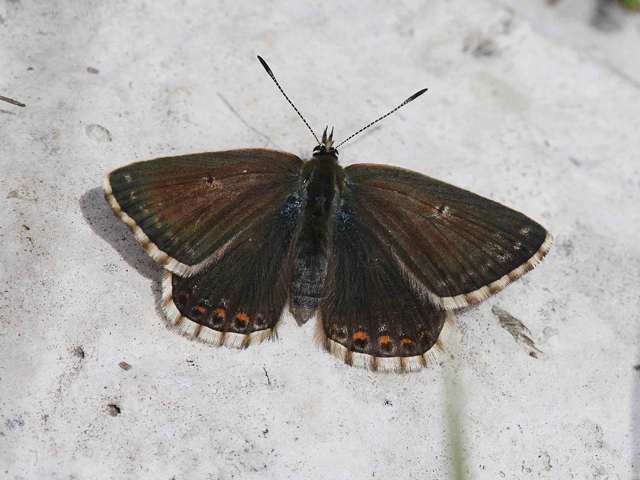 The overnight moth catch was also quite varied, with the highlight being single Lesser-spotted Pinions at both Weston and the Grove. Most of what movement there was today was either overhead or out to sea. Hirundines and Swifts were moving through into the at times quite brisk easterly during the morning, when sample counts included 80 Sand Martins through Ferrybridge in 90 minutes; other visible migrants included 13 Cormorants and a Dunlin south over the Bill and a Yellow Wagtail through at Ferrybridge. The only arrivals on the ground were 21 Dunlin, 8 Sandwich Terns, 2 Sanderling and 2 Redshanks at Ferrybridge (where the unseasonable Dark-bellied Brent Goose also dropped in again) and another dispersing young Blackcap at the Bill. 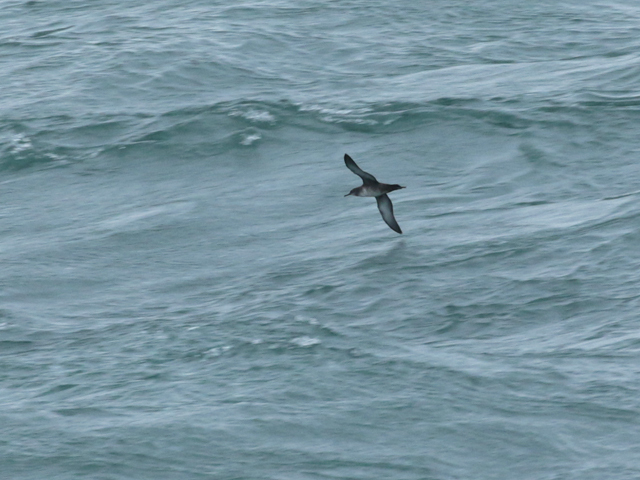 Out to sea, 200 Manx Shearwaters, 52 Common Scoter and a Mediterranean Gull passed by at the Bill. 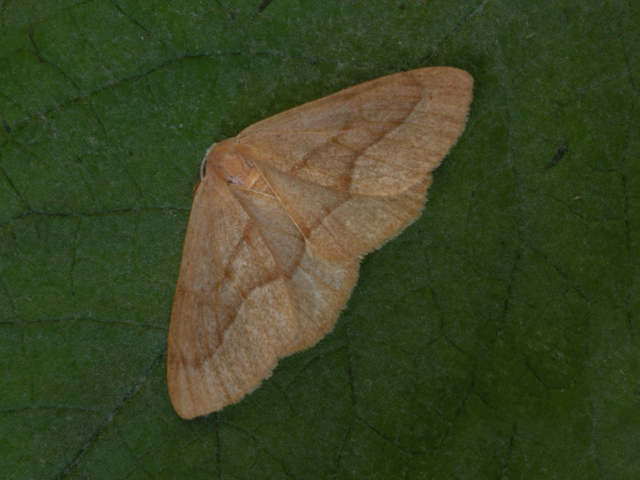 Dispersing moths featured a little better than in recent nights, including 2 each of Bulrush Veneer and Water Veneer, and a single Brown-veined Wainscot at the Obs. 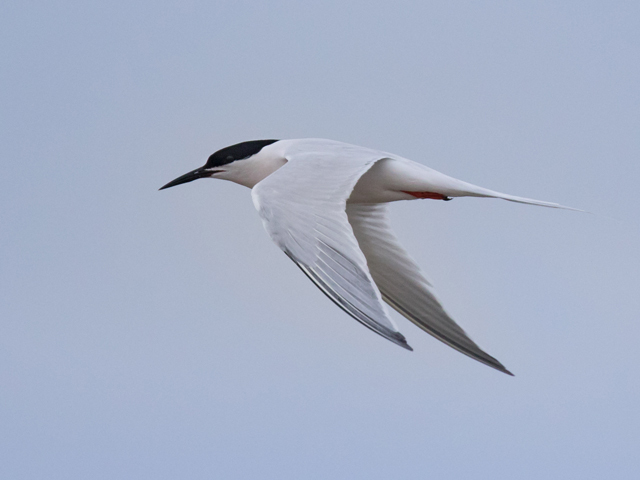 The Roseate Terns only put in a couple of brief appearances at Ferrybridge today, so interest came largely from other happenings, with a Canada Goose pitching up at Ferrybridge and singles of Sooty Shearwater and Pomarine Skua reported from seawatching at the Bill. 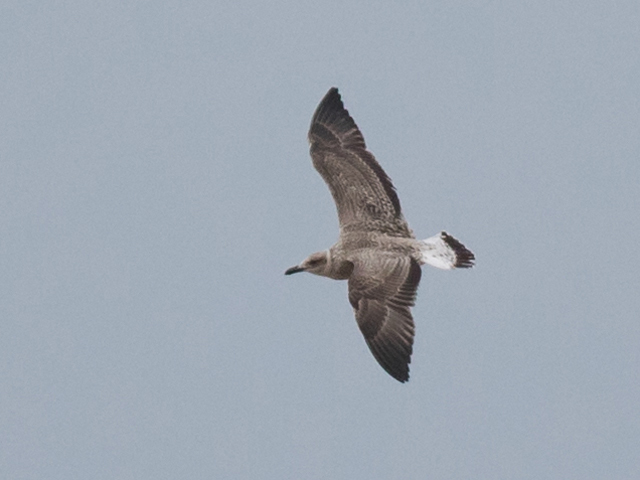 The sea also came up with 41 Common Scoter, 10 Manx Shearwaters, 2 Arctic Skuas, a Balearic Shearwater and a Great Skua, a Yellow-legged Gull was at Ferrybridge and the first departing young Willow Warbler of the season dropped in at the Bill. The fifth Splendid Brocade of the summer (at the Obs) was a slightly unexpected highlight amongst the night's moth catch given that just about the only other sign of immigrant activity was a modest increase in Silver Ys at one of the trap sites (27 at the Grove). 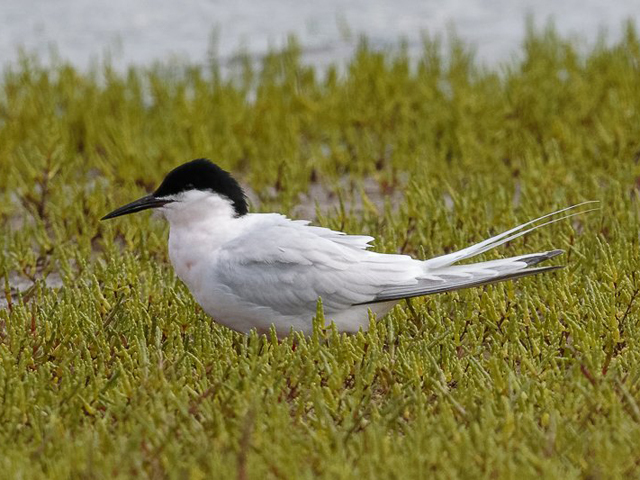 The Roseate Terns again made frequent visits to Ferrybridge, where an unseasonable Brent Goose passed through and 8 Dunlin and 2 Sanderling were amongst what few waders were about. 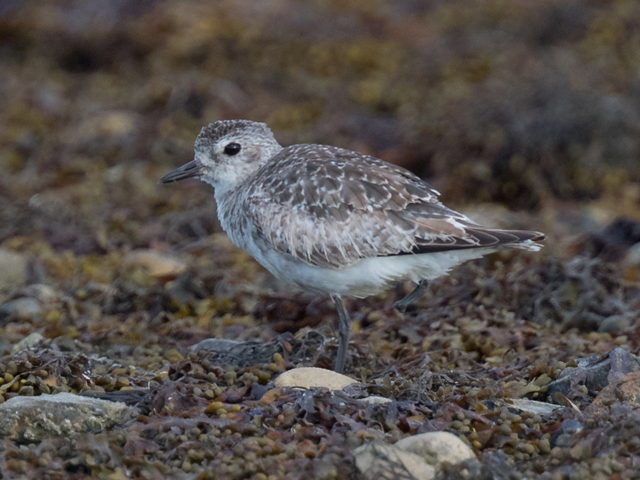 At the Bill, 4 Common Sandpipers constituted the only migrant interest on the land but there was a fair bit of movement on the sea, including 350 Manx Shearwaters, 40 Common Scoter, 11 Balearic Shearwaters, 3 Mediterranean Gulls, 2 Sandwich Terns and a Great Skua. 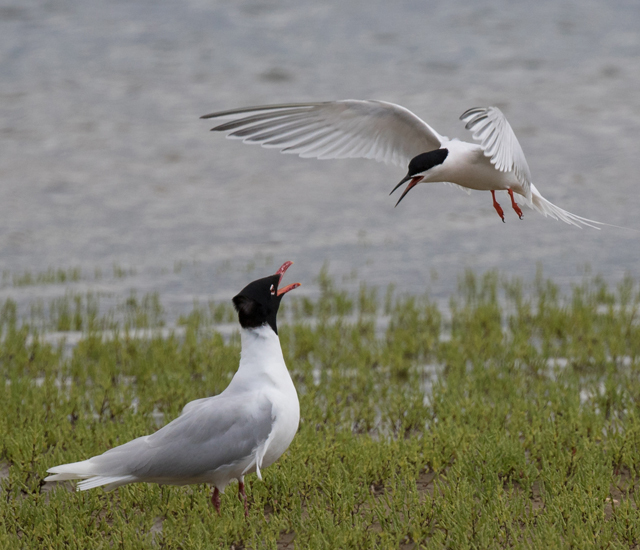 Two showy Roseate Terns that spent a good part of the day at Ferrybridge stole the limelight today. Along with the steady little trickle of departing Swifts and hirundines overhead, a Cuckoo was below Grove Point and the first 2 Sedge Warblers of the autumn at the Bill were a further and perhaps unwelcome sign of how summer's already slipping way; singles of Grey Heron, Little Egret and Yellow-legged Gull also passed over at the Bill. In common with recent days the sea was worth attention, with 59 Common Scoter, 15 Manx Shearwaters, 10 Mediterranean Gulls, 2 Sandwich Terns and an Arctic Skua through off the Bill. 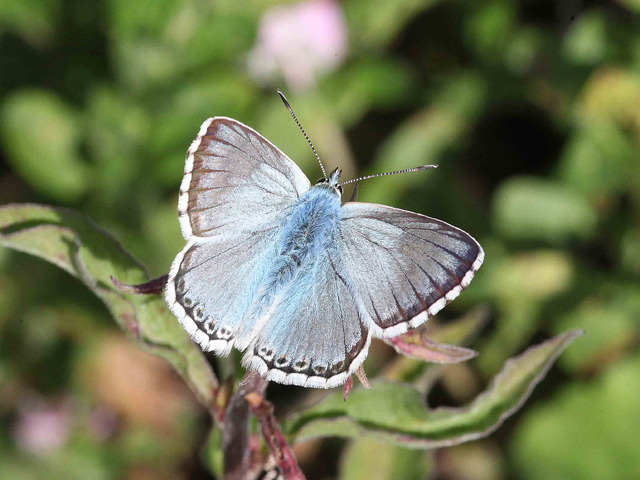 A brisk northwesterly breeze overnight reduced moth interest and there were no scarcities amongst the limited range on immigrants trapped at the Obs. All much of a muchness still with a light trickle of passing Sand Martins the only evidence of passerine movement today. 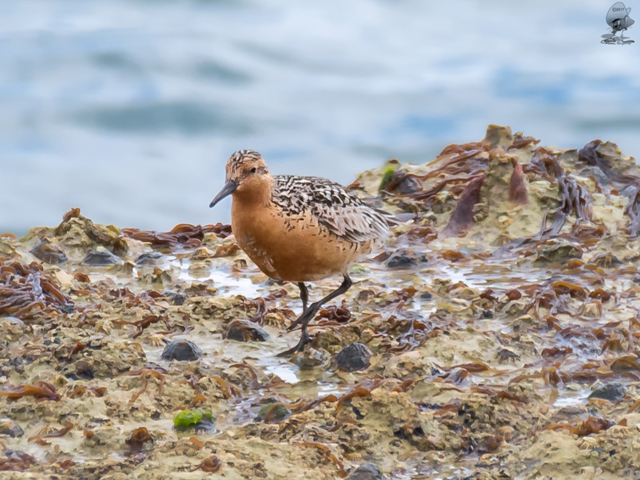 The sea was a little busier, with 28 Common Scoter, 25 Manx Shearwaters, 15 Mediterranean Gulls, 7 Black-headed Gulls and 3 Sandwich Terns through off the Bill, whilst 140 Mediterranean Gulls and 27 Dunlin were at Ferrybridge. 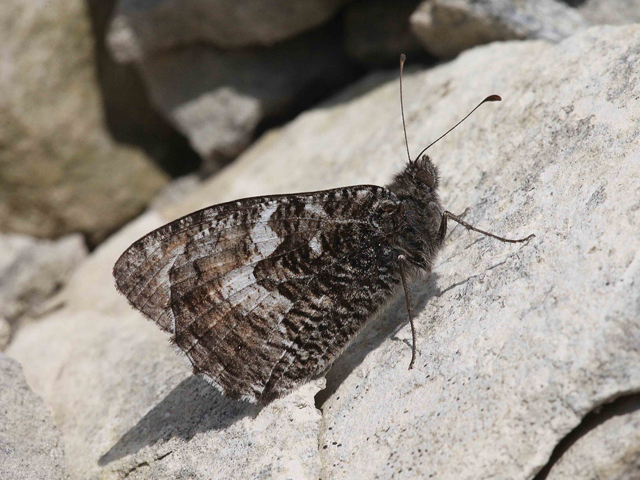 Moth numbers jumped back up to par although it remained relatively quiet for immigrants, with a Ni Moth providing the best of the quality at the Obs. More standard fare today, with 200 or more Manx Shearwaters, 2 Mediterranean Gulls and at least 1 Yellow-legged Gull lingering off the Bill, 8 Common Scoter, 3 Black-headed Gulls and 2 Sandwich Terns through on the sea there, a handful of Swifts and a Sand Martin though overhead and a Knot settled on the shore; elsewhere there were 31 Dunlin, 3 Redshanks and 2 Sanderling at Ferrybridge. 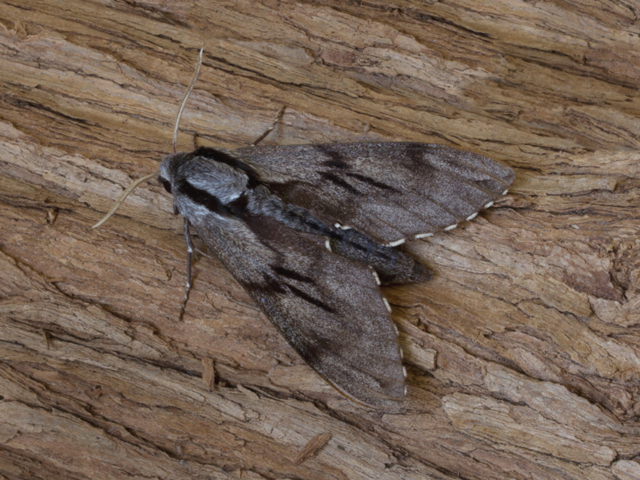 After the recent run of quality and quantity last night's windy and at times wet conditions saw moth interest plummet - there were just 3 single immigrants in total in the Obs traps! 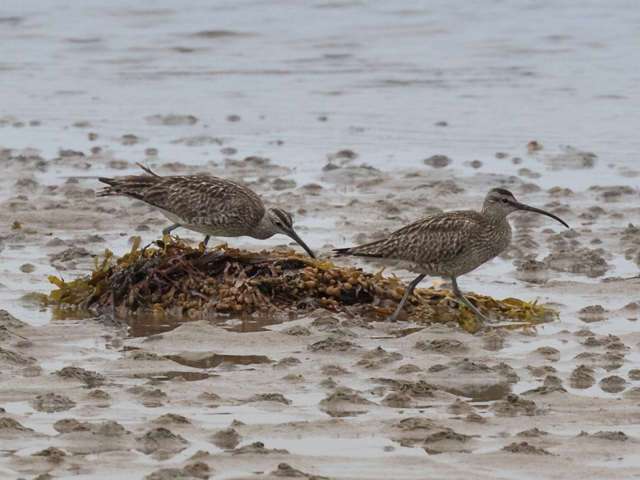 The first rainfall for a while dropped a nice selection of waders at Ferrybridge, where 30 Dunlin, 11 Black-tailed Godwits, 3 Knot, 2 each of Sanderling and Common Sandpiper, and singles of Whimbrel and Redshank pitched up at various times. 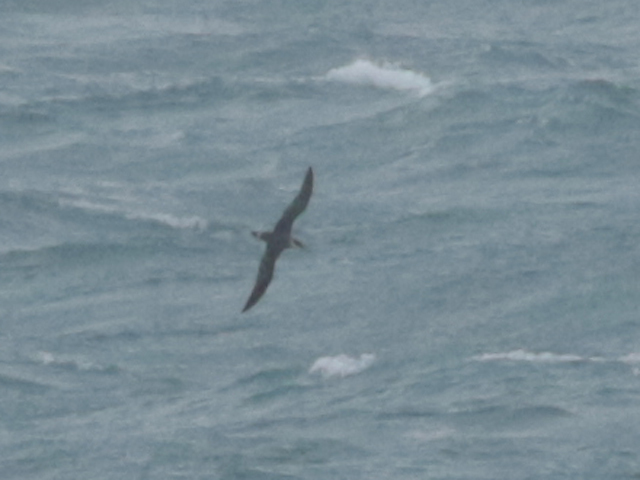 There were also hopes for the sea but just 14 Common Scoter, 4 Manx Shearwaters, 3 Sandwich Terns, 2 Mediterranean Gulls and an Arctic Skua passed through off the Bill before heavy rain set in and prevented further coverage. On a breezier night there was less moth activity than of late, with another 2 Small Marbled at the Obs the only rarities in the immigrant line. A significant downturn in the weather that saw heavy cloud streaming in from the west arrived far too late to spoil what had otherwise been another day of largely unbroken sunshine. A dispersing Blackcap showed up at the Obs and the Dunlin total at Ferrybridge crept up to 17 but, once again, most of what numbers there were were garnered from the sea, with 90 Manx Shearwaters, 37 Common Scoter, 5 each of Mediterranean Gull and Black-headed Gull, and singles of Little Egret, Great Skua and Sandwich Tern through off the Bill. Overnight moth interest included a couple of quality scarce immigrants in the form of a Bedstraw Hawkmoth at Reap Lane and a Splendid Brocade at the Obs, although overall numbers and variety continued to fall away. 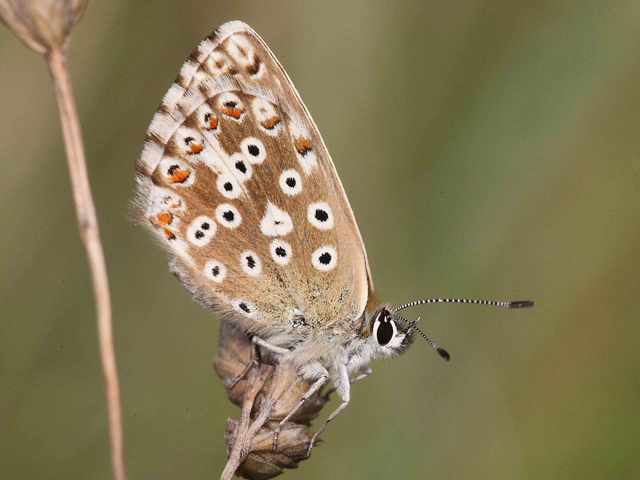 Efforts to spirit some early departing migrants out of the now well established crops in the Crown Estate Field for the first time this 'autumn' drew a probably predictable blank, so what happenings there were on the bird front were much as in recent days. A Grey Heron passed over at the Bill where 56 Common Scoter, 22 Manx Shearwaters, 3 Mediterranean Gulls and a Whimbrel passed by on the sea; elsewhere, 16 Dunlin, a Mallard and Grey Plover were at Ferrybridge, where 2 Sand Martins also passed over. The millpond-calm conditions off the Bill resulted in a veritable rash of sightings of 'other' sealife, with 7 Harbour Porpoises, a Basking Shark and an Ocean Sunfish spotted during the course of the morning. The was no great change on the moth front, with immigrant numbers continuing to drop away after their small peak a few days ago; 2 more Small Marbleds were the immigrant highlight at the Obs, with a flurry of wetland species providing the principle interest among the strays putting in appearances: singles of Reed Smudge Orthotelia sparganella and Bulrush Cosmet Limnaecia phragmitella were trapped at the Obs, whilst singles of Bulrush Veneer Calamotropha paludella and Silky Wainscot turned up at the Grove. 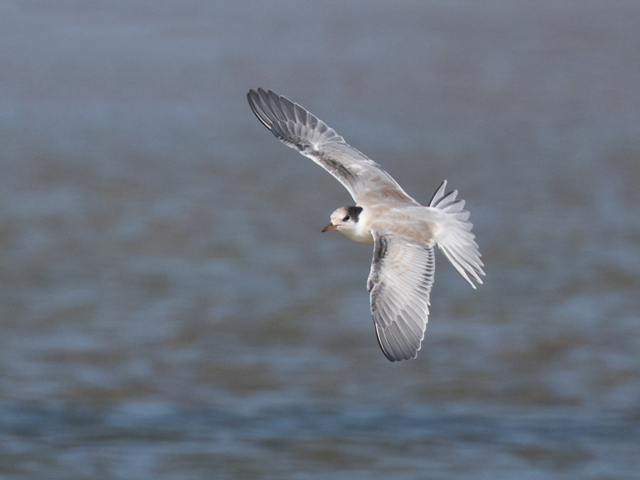 Sand Martin passage gathered a bit of momentum today, with 124 through over the Bill in the first few hours of the morning, but all the other movement there was offshore, including 240 Manx Shearwaters, 41 Common Scoter, 9 Mediterranean Gulls, a Great Crested Grebe and an Arctic Skua. 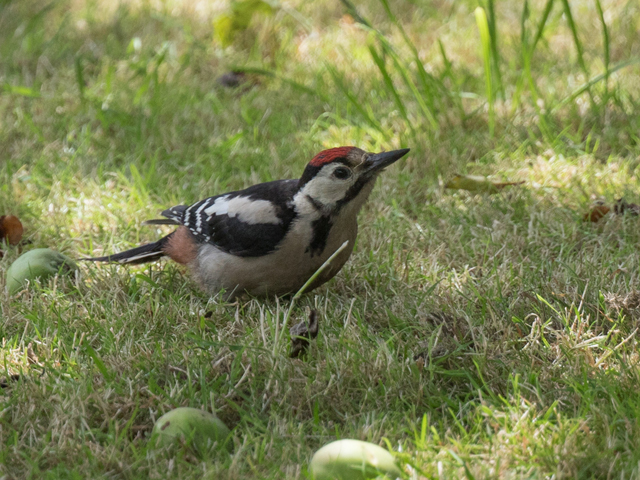 The only other report was a Great Spotted Woodpecker at Southwell. 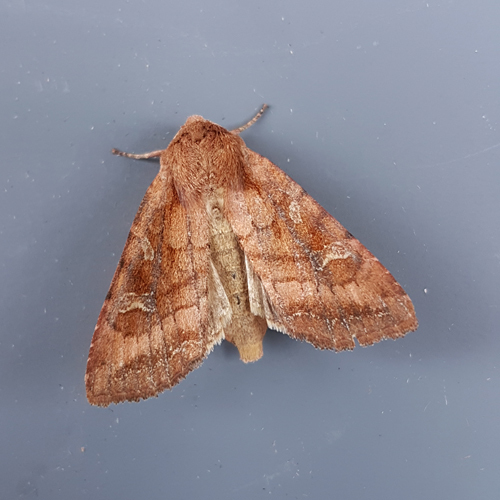 Overnight mothing ticked along in a similar vein to recent nights with good catches and a decent variety of mainly routine immigrants/strays; the best of the oddities was an Alder Moth at the Obs that is only the third record for the island. Still precious little happening on the bird front, with single figure totals of Swifts, Sand Martins and what looked to be the first 'moving' Swallows of the autumn through over the Bill, 2 Grey Herons through over Blacknor and 22 Common Scoter through on the sea at the Bill. 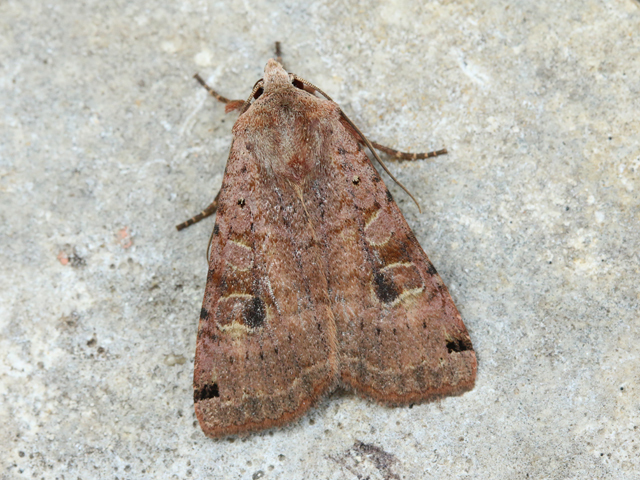 Another small pulse of moth immigration saw the Diamond-back Moth total at the Obs jump back up to 83, with a fair selection of 'off-island' species amongst the catches everywhere; however, the only rarer immigrants putting in appearances were a Splendid Brocade and 3 Small Marbled at Freshwater Bay and a Ni Moth at Fortuneswell. A brisker easterly breeze saw a little more get moving overhead, with 30 Sand Martins and 7 Shelducks through at Ferrybridge and 38 Swifts, 12 Sand Martins and singles of Grey Heron, Little Egret and Curlew through at the Bill. 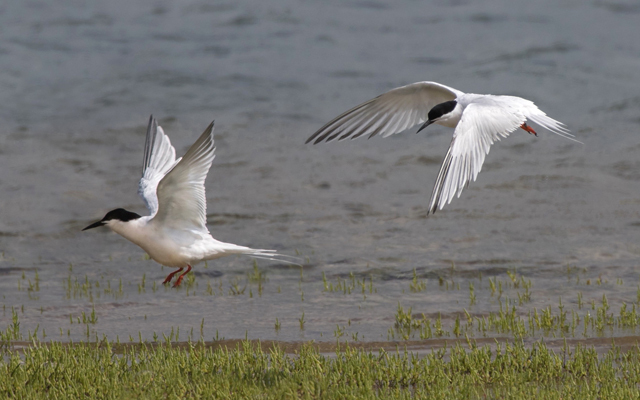 There was also a pulse of movement on the sea, with 35 Sandwich Terns (...where had they all come from? 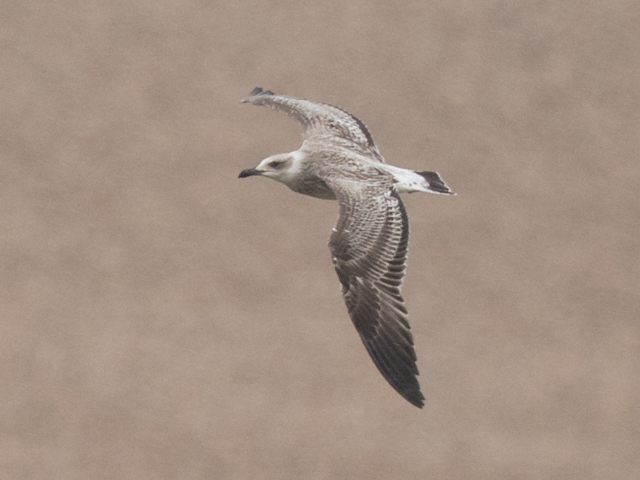 ), 32 Common Scoter, 5 Mediterranean Gulls and a Yellow-legged Gull through off the Bill. Odds and ends on the ground included a Willow Warbler at the Bill and 60 Mediterranean Gulls and a Grey Plover at Ferrybridge. 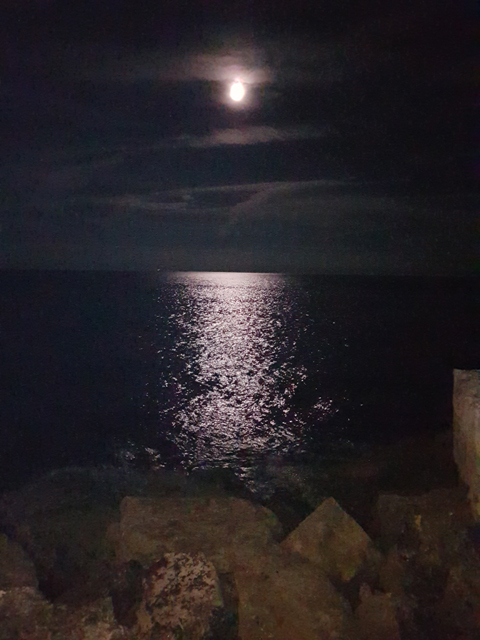 Under a very bright moon the overnight moth catch was rather reduced; a Grey Ermine Yponomeuta sedella at Sweethill was easily the best of a limited selection of immigrants and island scarcities. Another rather samey bird day, with a Blue-headed Wagtail at the Bill the best of the few new arrivals on the land; a single Sand Martin passed through there and a Willow Warbler may have been one of the two that showed up last week, whilst a Grey Plover and the first 2 juvenile Mediterranean Gulls of the summer were at Ferrybridge. 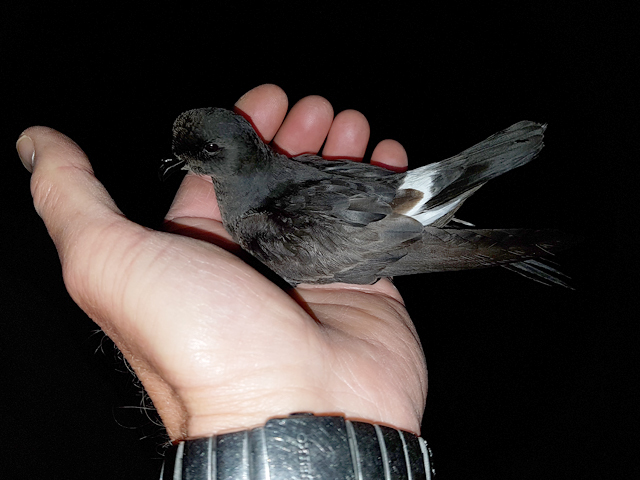 Totals from the sea included 100 Manx Shearwaters, 83 Common Scoter, 3 Mediterranean Gulls, 3 Sandwich Terns, a Whimbrel and a Great Skua through off the Bill, where 8 Storm Petrels had been sound-lured and trapped overnight. 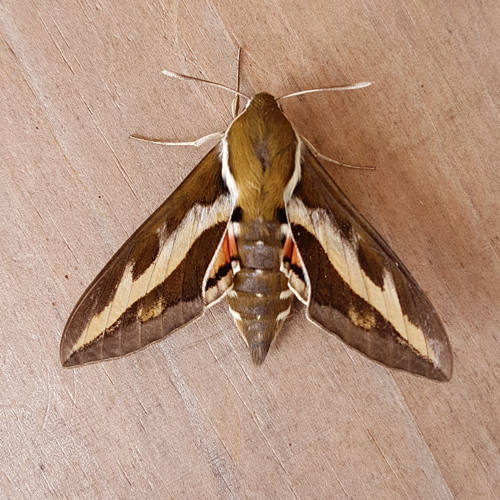 Moth immigrants/wanderers included nothing that hadn't already been recorded in the last fortnight, with singles of Barred Red, Pine Hawkmoth and White Satin - all at Sweethill - the best of the night's catch.